DGaming and blockchain have exploded onto the scene, breaking the stranglehold of traditional games firms and putting control in the hands of players and maverick developers. But what does it mean for you…? The numbers alone are jaw-dropping. There’s 139,217 monthly players. More than $24 million in revenue. A projected $500 million worldwide by the end of 2019. But it’s what DGaming – and the blockchain tech that drives it – could mean for you as a gamer or developer that really boggles the mind. Perhaps you’ve been there since the underground birth of the DGaming phenomenon. Or maybe you’re just picking up the buzz as it hits the mainstream. Either way, this explosive report by the experts at DGaming.com is essential reading for anyone hoping to join the revolution. 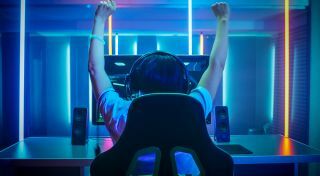 As that fascinating report reveals, the meteoric growth of DGaming – short for ‘decentralised gaming’ – is being driven by an idealistic new generation of players and developers. They demand more consumer power and, critically, an end to the flawed system of tech firms storing gamers’ accounts and in-game purchases on their own in-house servers. The fundamental difference is that DGaming uses serverless blockchain technology for a decentralized gaming experience that puts players in control – and it’s grown from a cult concept to a global trend. Let’s take a snapshot of the DGaming scene. Right now, the biggest DGaming nations are the USA, China, and Russia, with the average player identified as an educated male aged between 25 and 34. The best-known titles include card trading games like MLB Crypto Baseball and Gods Unchained (not to mention the iconic CryptoKitties). Two of the flagship companies are Lucid Sight and Axiom Zen, while Ethereum can claim to be the biggest blockchain platform. But this is a market on the move. With real-world sports teams like Juventus FC and the Los Angeles Dodgers now partnering with DGaming firms for Crypto giveaways, we’re tantalizingly close to a mainstream breakthrough. The report predicts that 1,294,414 gamers will spend $203,437,132 by the close of 2018 – and if a major eSports game is launched into the DGaming sector, those figures could climb even higher. The facts and figures are eye-opening – but what are the real-world benefits of DGaming for you? Well, as the report reveals, the rise of DGaming should make forward-thinking gamers and developers excited – and traditional game-makers very nervous indeed. We all know the frustrations of the old centralized system, with in-game purchases vanishing into the depths of a games firm’s servers, ‘loot boxes’ that weren’t what you expected, or your hard-won assets being rendered worthless by an unexpected update. But with DGaming and blockchain, gamers can relax, safe in the knowledge that their assets are cryptographically secured and the games they play are transparent and fair. They even control the market, setting the price if they choose to sell or transfer their assets to another player. Putting grass-roots gamers in the driving seat, the DGaming scene is undoubtedly the future – but that doesn’t mean you can’t get up to speed today. Whether you’re a player seeking the best gaming experience or a developer looking to monetize your product in this lucrative new market, check out the regular expert reports at www.dgaming.com and keep up with all the latest developments.